Those who believe what the Bible teaches about God’s plans and purposes for the people and place of Israel are often accused of giving more time and attention to the Old Testament than the New, and there is some truth in this. Over 80% of the promises and prophecies of the Old Testament have been literally fulfilled. It is a simple matter of faith in God’s faithfulness to believe that he means what he says, and will do what he says he will do. This exciting new study reveals that both the people and the place called ‘Israel’ have a significant role in God’s future plans for world redemption. 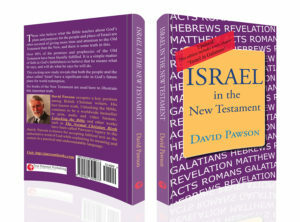 Five books of the New Testament are used here to illustrate this important truth.